Here in North America, when we need a hit of acid in a dish, we tend to reach for the vinegar bottle or the fresh lemon. We add vinegar to salad dressings and marinades; we squeeze lemon juice over vegetables and seafood. Both vinegar and lemon are fine things, versatile and reliable. But there are plenty of other souring agents out there, including fruits and seeds in fresh, dried, brined, and pickled forms. All add tartness and tanginess, perking up even the most jaded of palates. #(clear n1). [%image tamarind float='clear right' width=350 caption="A pack of wet tamarind."] Tamarind. Native to Africa, but widely grown in India and Southeast Asia, tamarind is a versatile acidulant essential to many Southeast Asian and Indian dishes. Unripe green tamarind pods are super-sour, but they mellow as they ripen, adding a sweet-tart depth to Indian curries and chutneys as well as sour soups like Vietnamese canh chua and Filipino sinigang. Tamarind marries well with palm sugar in meat marinades, and makes a refreshing lemonade-like cooler, agua de tamarindo. Tamarind is also a key ingredient in pad Thai — although you might not know it, since many Thai restaurants in the U.S. often use lime juice or ketchup instead. Tamarind is sold at Asian and Latino markets in three forms. The most convenient form is tamarind concentrate, usually sold in round canisters. However, this contains more water than pulp, and you have to use almost the entire lot to obtain enough flavor. Whole pods are laborious to crack open and the seeds have to be boiled to extract the pulp. You can simply plop the seeds into soups, but this method doesn’t work for all recipes. So I like to buy seedless “wet tamarind.” The tamarind has been shelled, seeded (mostly), and compressed into coffee-colored blocks. I steep the pulp in hot water in a 1:2 ratio (for example, ½ cup pulp to 1 cup water) before pressing it through a sieve to produce recipe-ready tamarind pulp. #(clear n2). [%image reference-image float='clear right' width=350 caption="Chinese pickled plums."] Chinese pickled plums. 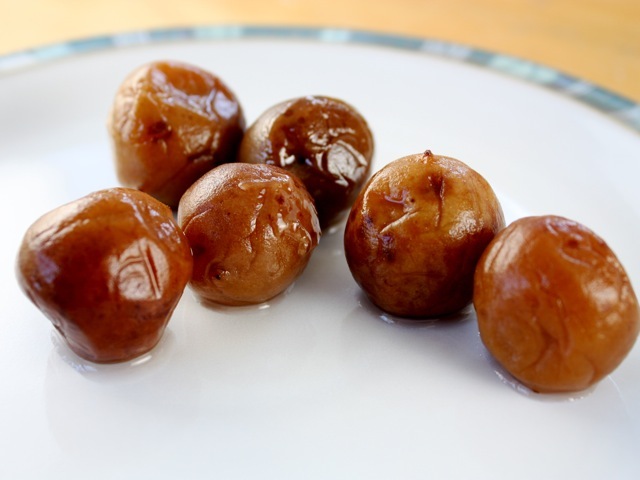 Unripe Chinese plums (more popularly known in the U.S. by their Japanese name, ume) are pickled in salt and water to produce suanmeizi (literally, sour plums). Sold in glass jars at Asian markets, these plums are more salty than sour, but they add a subtle twang to simple Chinese dishes like steamed fish and pork ribs and salted vegetable soup. When blended with sugar, ginger, chiles, and garlic, pickled plums form the basis of a tasty sweet-and-sour dipping sauce to accompany spring rolls, pot stickers, and roasted duck. Or you can add them to a chicken-and-green-olive stew for a Chinese-Mediterranean fusion dish. #(clear n3). 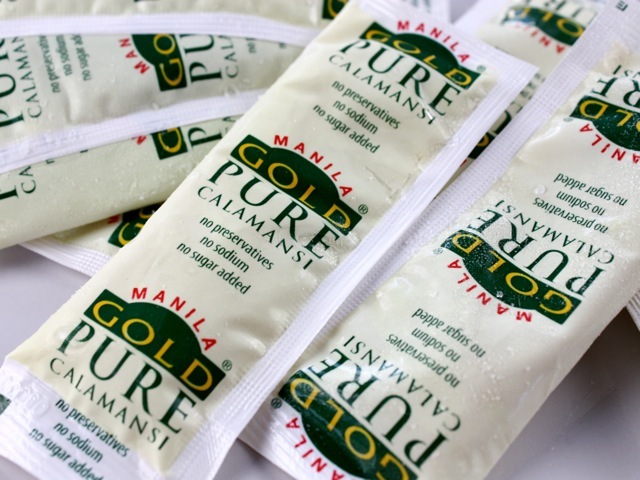 [%image calamansi float='clear right' width=350 caption="Packets of frozen calamansi juice."] Calamansi. The golf-ball-sized calamansi — also known as calamondin — may be tiny, but it packs a whole lot of citrus punch. Popular in Southeast Asia, the fruit’s thin rind (usually seen in its unripened green state) encloses a tangerine-colored pulp with a tangy taste reminiscent of oranges and limes. The bright and floral juice is used in marinades for meat, and adds a tropical finish to sambals (chile pastes) and seafood. In the Philippines, calamansi is a condiment for the infamous noodle dish pancit, and is so beloved in cooking it is bottled as Toyomansi, a soy sauce-calamansi blend. Squirt some calamansi juice over barbecued chicken or fish, or use it in salad dressings. Try making calamansi your citrus of choice for all-American favorites like lemonade and Key lime pie. In southern California and Florida, the tree is available at garden stores. Elsewhere, the fruit is  sometimes available fresh in Asian markets, but more often you'll find it in little packets on the frozen aisle. #(clear n4). 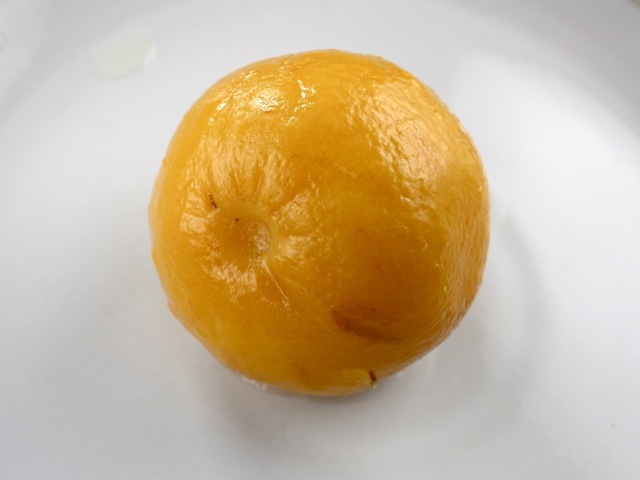 [%image preservedlemon float='clear right' width=350 caption="A preserved lemon."] Preserved lemons. Preserved lemons are made by packing the smallest, roundest lemons whole — flesh, pith, rind, and all — in salt and their own juice for a month. Compared to the juice and rind of its fresh counterpart, the preserved lemon provides a distinct flavor profile that is intensely lemony, shot through with a modicum of bitterness. It is the secret ingredient of tagines, that classic of Moroccan cuisine, whether paired with chicken, lamb, or seafood. To use, give the preserved lemon a quick rinse. Then use the salty juice to flavor vinaigrettes or to brighten grilled meats before slicing. You can also add diced whole lemons to steamed mussels or clams, or to gremolata. Look for preserved lemons at Mediterranean markets and specialty stores like Whole Foods. You can also make them yourself quite easily. #(clear n5). [%image sumac float='clear right' width=350 caption="Dried and ground sumac berries."] Sumac. Sweet, sour, bitter, and fruity, this vibrant spice adds instant zing to grilled meats, roasted vegetables, and pilafs, and is an important component of the Middle Eastern herb blend za’atar. 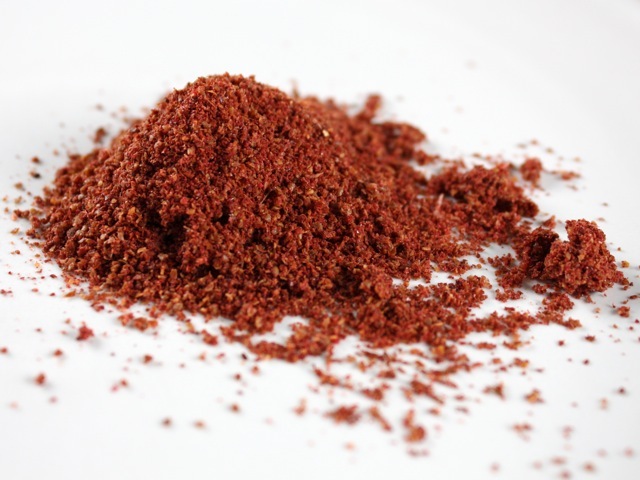 Sumac berries grow in tight clusters and are used whole as well as ground into a powder, which is what you’ll probably find at Middle Eastern stores in the U.S. Indispensable in Arab cooking, sumac isn’t as sharp as lemon juice, yet it adds more complexity, with a pleasing bitterness that blooms with notes of tomato and summer berries. It is best enjoyed in its simplicity: Shower the brilliantly burgundy spice over olive oil-soaked sliced cucumbers and tomatoes, or massage it into fish and kebabs just before cooking. Sprinkle it on flatbreads, stir it into casseroles and stews, or use it in place of paprika for a racy finish to eggs Benedict. Sumac loves dairy, too, and is delightful mixed into yogurt for a simple dip, or dusted over feta or halloumi. #(clear n6). [%image amchoor float='clear right' width=350 caption="Amchoor is ground from dried unripe mangoes."] Amchoor. North Indian cooks swear by amchoor for adding a sunny tang that’s not overly sour yet full of flavor. On its own, amchoor may taste of the dusty, musty tropics, but it deepens the flavor of vegetable and lentil curries, samosa fillings, and paratha stuffings. Made by drying unripe mangoes in the sun, amchoor is available as strips or ground up. The strips are used to flavor curries and tossed out before serving. 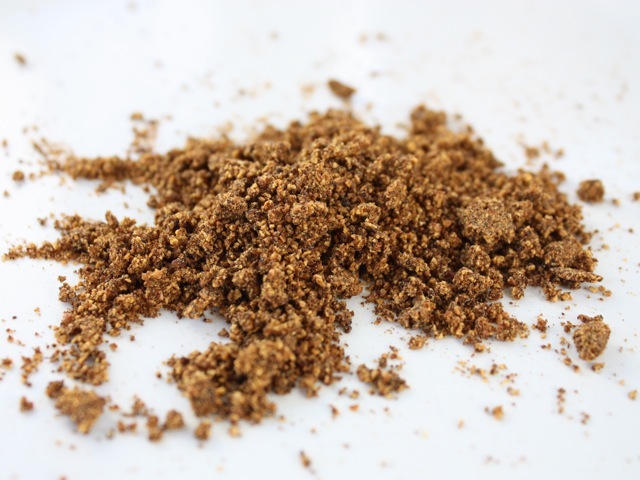 As a powder, amchoor is essential to chaat masala, a fresh, astringent Punjabi spice blend that’s usually sprinkled over fruits and vegetables. Make your own blend at home with amchoor, sugar, and roasted chiles, and serve with sliced peaches, green apples, and pineapples. 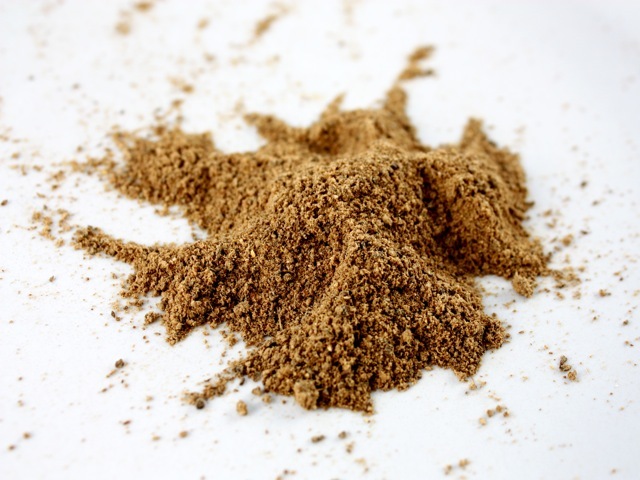 Like fleur de sel, amchoor powder boosts the flavor quotient of foods after it’s been cooked. Use it alone or in tandem with any of the following: ground chiles, cloves, coriander, cumin, or ginger. Sprinkle it over roasted vegetables, such as cauliflower, eggplant, okra, and potatoes. And because it isn’t liquid like lime or lemon juice, amchoor adds acidity to fried chicken or fritters while preserving their delicate crunch. Amchoor is available at South Asian stores and gourmet spice shops everywhere. #(clear n7). 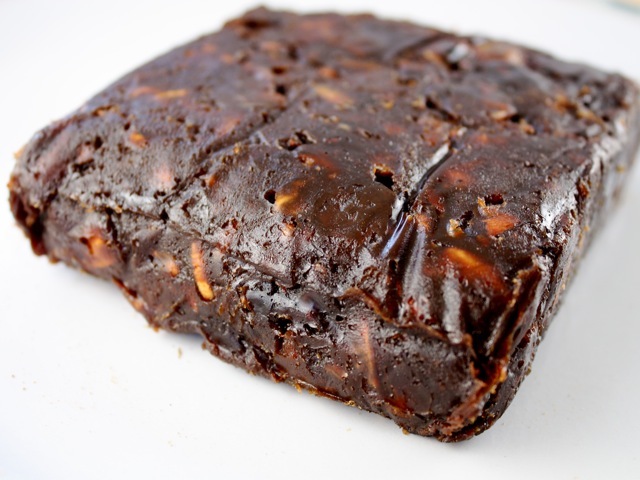 [%image anardana float='clear right' width=350 caption="Anardana, or dried and ground pomegranate seeds."] Anardana. Tasting surprisingly of caramel and bananas, these dehydrated pomegranate seeds hold the distilled essence of pomegranates in their tiny bodies, thanks to a slow air-drying process. While other sour spices are best introduced at the end, anardana can languish in a sauce or braising liquid for a long time, infusing sweet-and-sourness into slow-cooked lamb and the popular Persian poultry-and-walnut dish fesenjan. Their crunchy centers are the perfect foil for pilafs and salads, and they can also be soaked in water like tamarind, or crushed and added to chutneys, relishes, and spice rubs for meat and seafood. In the U.S., anardana is harder to find than most spices. If your local Indian market doesn’t carry it, order it via Amazon.com or an online spice shop. #(clear n8). [%image molasses float='clear right' width=350 caption="A spoonful of pomegranate molasses."] Pomegranate molasses. Claret in color, pomegranate molasses could pass for balsamic vinegar if not for its thick, syrupy consistency. At first taste, pomegranate molasses is sweet, but swiftly reveals its tangy foundation of concentrated pomegranate juice and sugar. Muhammara, a Syrian dip made with red peppers and walnuts, often relies on pomegranate molasses for its characteristic flavor. It is added to slow-cooked dishes, and forges an especially pleasing partnership with anardana (see above) in fesenjan. When brushed onto chicken or pork destined for the oven, pomegranate molasses adds flavor and a glossy glaze. 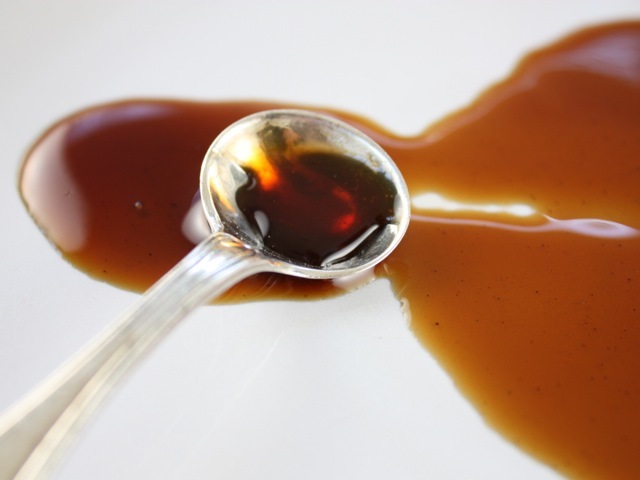 Mix it into your favorite barbecue sauce for ribs or steaks, or drizzle it into vinaigrettes and even cake batters. Unlike the more expensive juice, pomegranate molasses costs four to five dollars at any Middle Eastern food store and many larger supermarkets. p(bio). Pat Tanumihardja is a Seattle-based writer specializing in food, travel, and culture. She is the author of The Asian Grandmothers Cookbook.